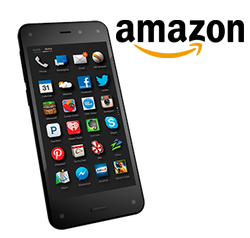 Unlock your Amazon Fire from AT&T or O2 fast. IMEI-based services that maintain your warranty. How to unlock my Amazon Fire with doctorSIM? After you've requested your unlock code, you will receive simple step-by-step instructions explaining how to enter the code into your Amazon Fire. Make sure you type in the unlock code correctly as you only have five attempts to successfully complete the process. What is an unlock code? An unlock code is an 8-digit code used to release a phone locked to one network. Once unlocked, the phone can be used on any compatible GSM network in the world. Unlock codes are unique to each phone depending on its IMEI number. IMEI stands for International Mobile Equipment Identity and is the unique ID number given to every GSM cell phone. Type *#06# on your Amazon Fire's dial screen to obtain the IMEI number. How do I request an unlock code for my Amazon Fire through doctorSIM? 1. Click on the green Unlock your phone now button above. 2. Select the country and network provider your Amazon Fire is locked to (AT&T or O2). 3. Read the descriptions carefully before choosing the appropriate unlocking service. 4. Complete the phone information and your contact details. 5. Finally, pay for the unlock code using one of our 100% secure payment methods. Within a few business days, you'll receive the unlock code in your e-mail box. How do I unlock my Amazon Fire with the unlock code provided? 1. Insert a SIM card from a network provider different to AT&T or O2. 2. Turn on the phone and you will be prompted for the unlock code. 3. Enter the 8-digit unlock code sent to you by doctorSIM and press Unlock. 4. This message will then appear on screen: SIM Network unlocked. Congratulations, your Amazon Fire is now unlocked! Do Amazon Fire cell phones have a limited number of unlocking attempts? Yes, make sure you enter the unlock code correctly when prompted. If the unlock code is entered incorrectly five times, the phone will permanently lock to either the AT&T or O2 network. Is it absolutely necessary to insert a SIM card from a different network to unlock my Amazon Fire? Yes, without a non-valid SIM card the phone won't prompt for the unlock code. If you haven't received your new SIM card yet, don't worry as the unlock code provided by doctorSIM will never expire. Can I download software updates or will I lose the unlocking? Feel free to continue downloading the official software updates for your Amazon Fire as normal. The unlocking provided by doctorSIM is permanent and will not be affected by these updates. Simply type in a code and unlock the phone yourself. Fast, secure, and easy-to-use payment methods. Increase the resale value of your Amazon Fire up to 30%. Switch effortlessly between compatible GSM networks. Say goodbye to extortionate roaming fees forever. Unlock your Amazon Fire in record time with our 100% money-back guarantee. Comprehensive help center available and troubleshooting guidelines per make. Ask one of our phone unlocking experts for assistance at any time. Permanently unlock your Amazon Fire hassle-free. Over 5 million phones successfully unlocked and counting.